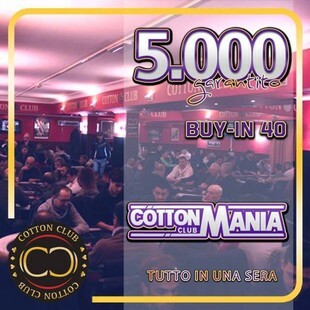 COTTON POKER CLUB ROMA - SABATO 3 Gennaio ore *22.30* - 5.000 GARANTITO - Texas Holdem Poker - Tornei Live di Poker a Roma. Cotton Mania: TUTTO in UNA sera!! !